Negotiations have stalled for now on a dispute between China, India and South Africa over who will host the bank. The disagreement has also delayed a decision on which of the countries will hold the first 5-year presidency of the bank. 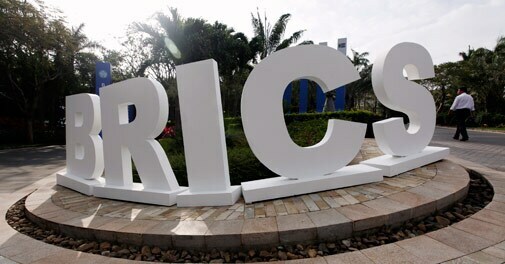 On the eve of the signing of a deal to launch a joint development bank, the BRICS nations have still not agreed on where the lender will be headquartered, a senior official involved in the talks told Reuters late on Monday. The leaders of the five emerging market economies are expected to sign a deal on Tuesday that creates the $100 billion bank and a reserves fund of the same size to challenge Western dominance over global finance. The five nations are Brazil, China, India, Russia and South Africa. "This should be easy to resolve but we have this dispute. If it doesn't move forward, we may have to leave the decision for another meeting," said the official, who declined to be named. Another negotiator confirmed that no decision has been reached. A delay could be an embarrassment for the BRICS, which see the creation of the bank as a major step to gain more influence in the shaping of the world's financial architecture. The official said that if no deal was reached on Tuesday, the leaders could still sign off on creation of the bank and decide on the headquarters and its president at a later date. Negotiations to create the bank dragged on for more than two years as Brazil and India fought China's attempts to get a bigger share in the lender than the others. The stark economic and political differences between the BRICS countries has made it difficult for the group to turn rhetoric to concrete action in coordinating policies. Russian and Indian officials have signaled that China's business hub, Shanghai, was the front-runner in the race to land the headquarters.